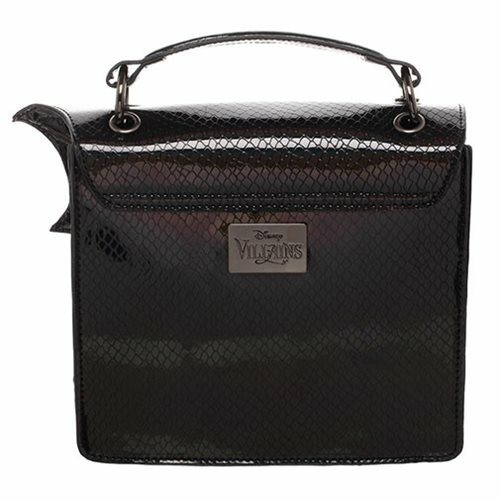 Strut around with the chic style of a Disney villain! 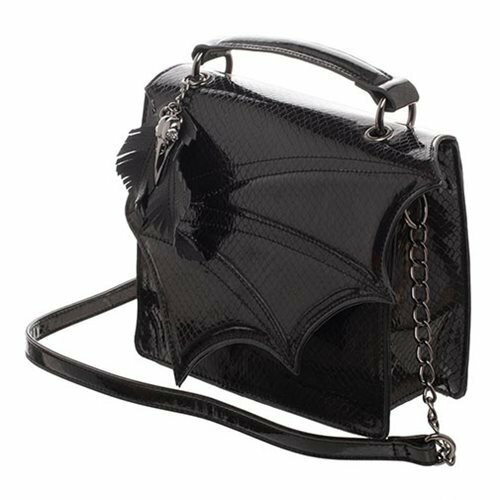 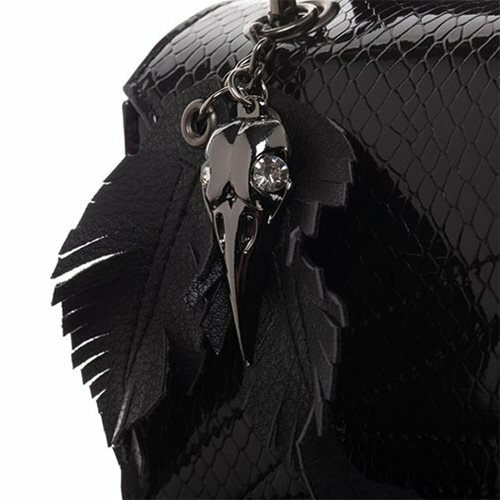 This Sleeping Beauty Maleficent Dragon Scale Purse features a magnetic snap closure, along with a PU and chain strap, and a top handle. 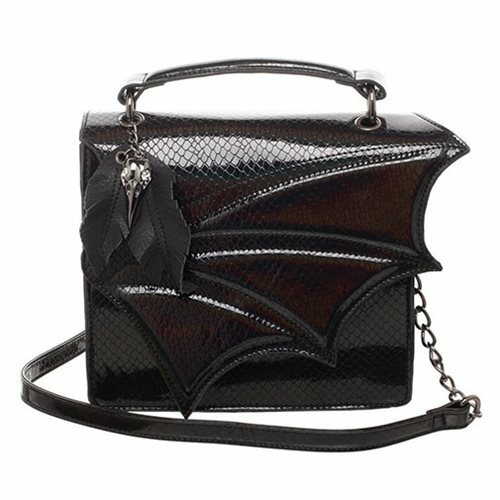 The purse measures approximately 8-inches wide x 7 1/2-inches x 3 1/2-inches.